This September holiday, what better way to learn and have fun at the same time? We are offering a special promotion this school holiday, so grab this chance to an educational trip with your little ones! Do not miss our 2 for 1 admission ticket promotion, where every 2 paying adults entitles 1 child, student or senior citizen to come for free! Also, simply take a selfie with our Orangutan, email it to us (details on photo) and stand a chance to win prizes with your creativity! 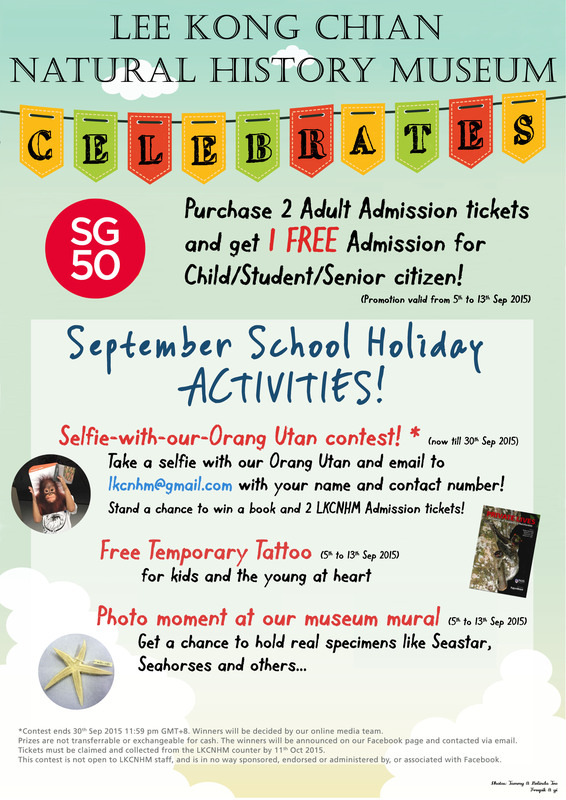 * This and other activities lined up for you this school holidays. * Contest ends 30 Sep 2015 11:59 pm GMT+8. Winners will be decided by our online media team.